Czeslaw Lang and his race receive recognition as a “reliable brand of the Polish economy. Not only is the Tour de Pologne the most important annual sports event in Poland for interest and numbers, but along with the other events organized by the Lang Team for amateurs and young riders, it can be credited as an efficient promoter of the Polish territory as a tourist attraction, both on a national and international level. This statement can sum up the significance of the acknowledgement awarded by ISBnews to Czeslaw Lang and to the Tour de Pologne. ISBnews is the prestigious Polish news agency specializing in broadcasting economic information for both institutional and private investors. Its numbers have contributed to significant credibility among customers, companies and enterprises. Based on data accumulated in the last six years of activity, the ISBnews agency awards the prize entitled “Najbardziej Wiarygodnym w Polskiej Gospodarce” to recognize particularly distinct reliable brands in the Polish economy, which stand out in their respective shareholding markets as solid investment options. 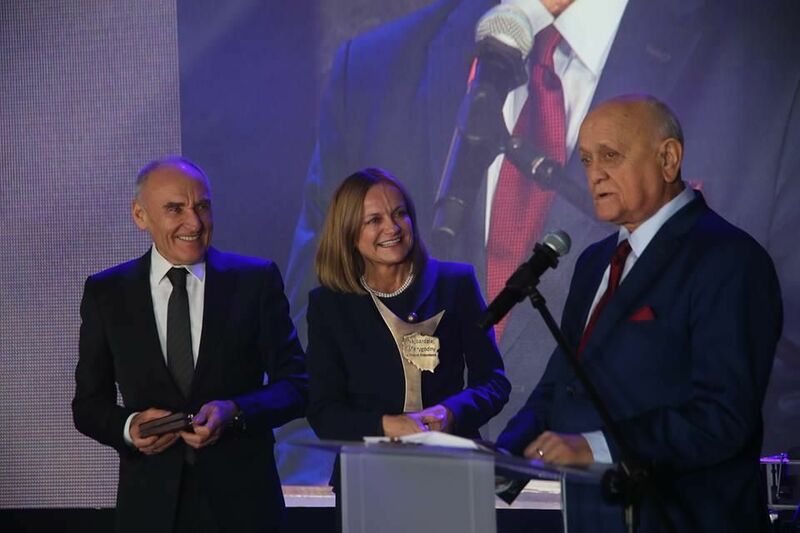 The importance of this award has been reinforced by being sponsored and endorsed by the Ministry of Business and Technology as well as the Warsaw Stock market. It was assigned last week at the Warsaw Palace of Culture and Science. The Tour de Pologne earned this award for the quality of its brand, which has been able to withstand the test of time and become a solid entity in the sports field. This prize can be added to other awards that have already been assigned by other institutions to Czeslaw Lang and his staff for the quality of their work. “As always, beyond the joy for the prize in and of itself, there is also the satisfaction in seeing that the projects we are carrying out are being appreciated and validated. To be recognized as one of the most reliable brands in the Polish economy is definitely another point in favour of the Tour de Pologne. I feel like I should say that this dependability is the result of the essential contribution that all the elements have given to our national race; I am referring to the sponsors and the institutions that support us, the media, who deserve credit for recounting and broadcasting images from the race, all the way to the public, the fans who are at the very heart of the Tour de Pologne. None of this would be possible without them. This recognition means that we are doing a good job, that bicycles are a continual growth market and that we can provide viable business opportunities, whether they are for out actual partners or potential new investors. Cycling can be an important resource for the economy of a country. I believe we are on the right track; it’s a route that I have been trying to build on these last 25 years in which I have been heading the Tour de Pologne. I hope to carry on with the same professionality and passion for the future, with the goal of growing even more,” says Czeslaw Lang, General Director for the Tour de Pologne.